Dream of Scrappin': Now a Blog Too! I don't quite know what I have done to myself. As if I don't have enough else to do, I have decided to start a blog! Why??? I hope that this blog will give me an opportunity to keep my thoughts and my projects in one place. I find myself sending picts of the different projects to different people and to different places. Maybe it will be easier to send my friends and family to my blog. Also, I wanted a place to send ideas to! I hate to write...with a pen that is. I love my handwriting but want to save it for journaling on my pages. I do not like to jot notes down on paper but I find myself writing notes to myself in several different word documents, IE. songs to burn, page titles, funny things the kids say...etc. Maybe a blog will give me an opportunity to send all the thoughts to one place. 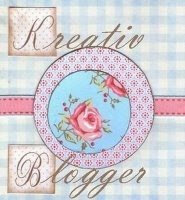 Maybe a blog will allow me to quit Dreaming constantly of Scrappin~since I will have a place for my ideas and such! We'll see! BTW~page idea...Hunter used to bite the wheels off his toy cars (HotWheels) when he would receive a new car he was always say, "I bite the wheels off" with the cutest little voice. When asked why, he would always say, "Cause they are chewy." Anyway can't forget this one! Feel free to remind me of other cute, strange or off things my kids or I have done so that these memories can be preserved! Welcome to my blog...I love having you drop in! Congrats on your new blog! It will definitely be an exciting adventure!